Did I ever show you these? 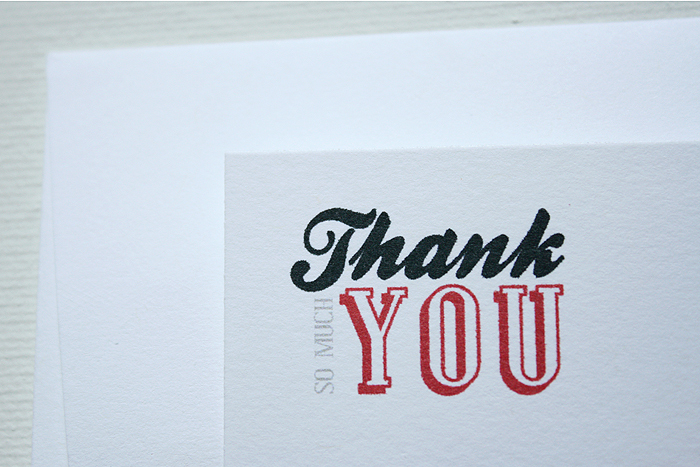 I think all parties should end with a special thank you to all those who made the day so special. 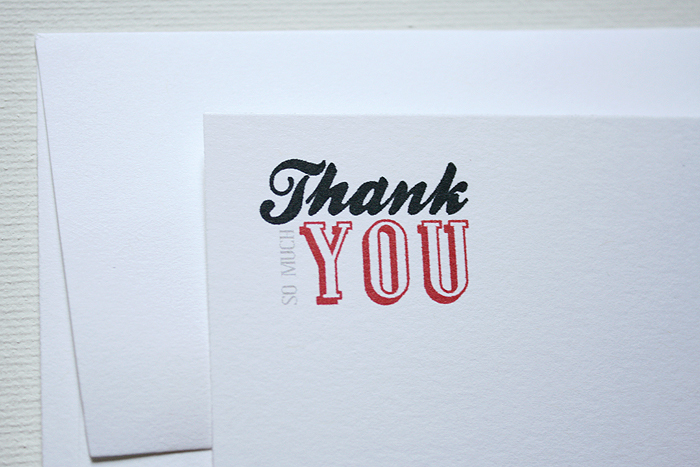 You can do that with a generic thank you card, which of course, will work perfectly. 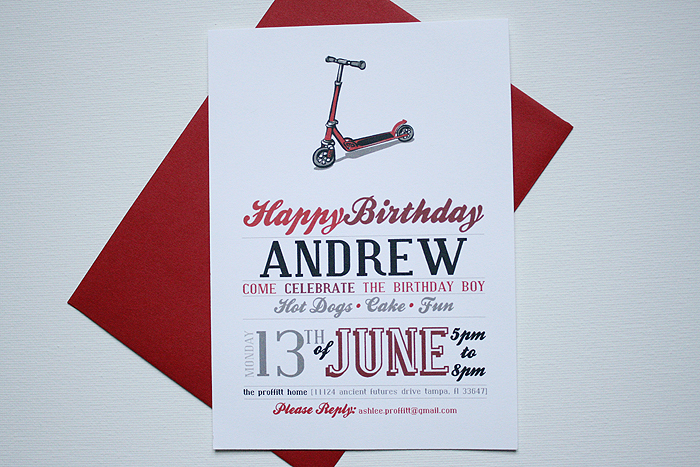 OR you can continue the party theme with a card designed specifically with the party details in mind. I think of myself as a branding expert. 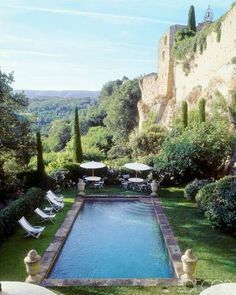 Even for parties. ha. 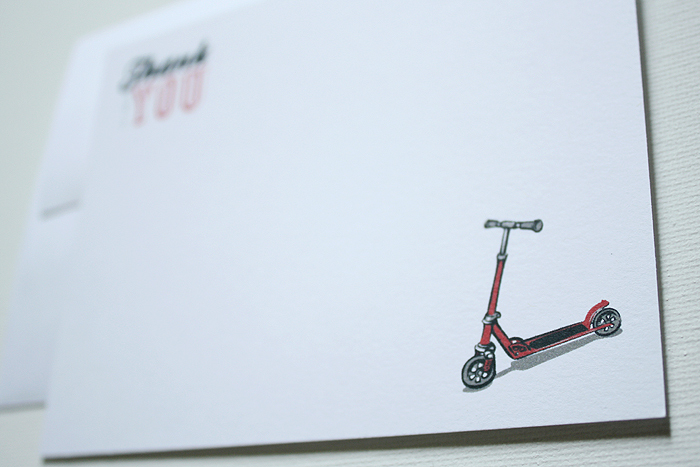 Anyway, I love these little scooter thank you cards inspired by this Vintage Scooter Birthday Party and am hoping you do too! 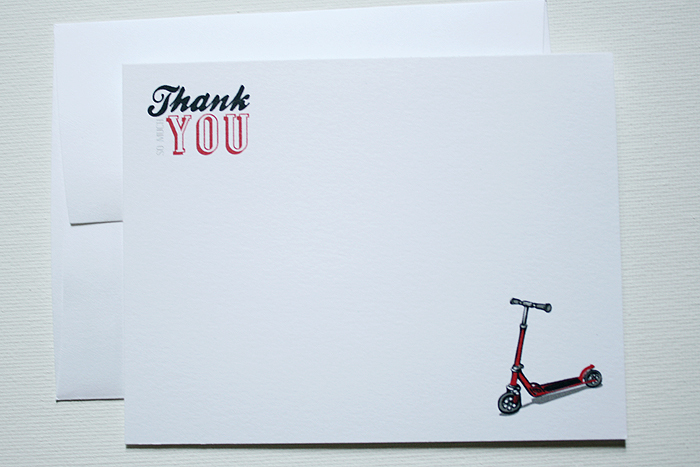 These thank you cards are not just for a Scooter Birthday Party, but would be perfect for any child on any occasion where a thanks is in order.